Charles County Crime Solvers is offering a cash reward of up to $1,000 for a tip that leads to the arrest of a suspect. Charles County Sheriff’s Office detectives are seeking the public’s help identifying the suspect(s) responsible for stealing handicap placards. Over the past several weeks, officers have responded to reports of thefts of handicap placards that were stolen from the interior of vehicles, many in the Smallwood Village area. Most of the thefts occurred during the overnight hours and involved cars that had the placard hanging from the rear-view mirror or were left on the dash. Several cars were parked in driveways or on public streets, and others were parked legally in handicap parking spaces. 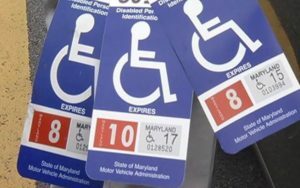 On one occasion, a placard was stolen from a car parked in a designated handicap parking space at the Old Washington Road park and ride. Surveillance footage showed the suspect was riding a bicycle in that case (See video below). He may live in the neighborhoods in or around Smallwood Village. In another case, which appears to be unrelated, the suspect(s) stole a placard and a credit card that was left inside a vehicle on Lakeshore Court. The credit card was used at a Waldorf liquor store. Surveillance footage was recovered and shows two males using the stolen card. 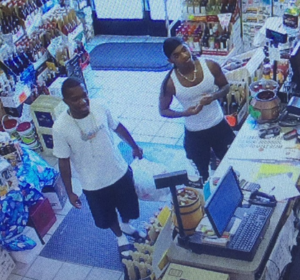 The suspects are believed to reside in the area of the Millbrook subdivision in Waldorf and they frequent the businesses in the area of Route 228 and Western Parkway. 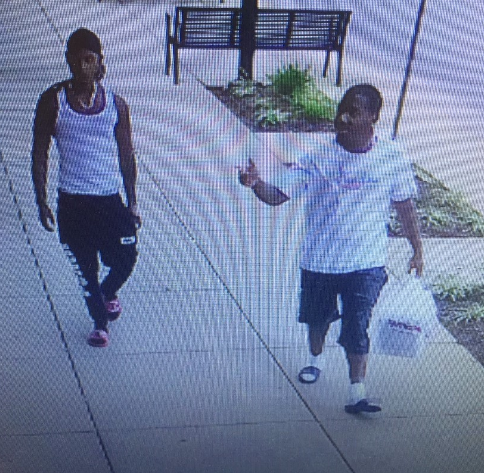 Detectives believe the cases near Smallwood Village are related and there may be more than one suspect involved in those thefts. The case from Lakeshore Court does not appear to be related. These types of thefts occur because there is a demand for them on the black market. Sadly, thefts of handicap placards significantly impact those with disabilities. The Sheriff’s Office is asking citizens to remove the placards from view when not in use and to be vigilant about reporting suspicious activity. Detectives are asking anyone with information about these thefts to contact Charles County Crime Solvers by calling 1-866-411-TIPS. Tips can also be submitted online at www.charlescountycrimesolvers.com or by using the P3Intel mobile app, which can be found in the Android Store and Apple store by searching P3tips. Crime Solvers is offering a cash reward of up to $1,000 for a tip that leads to an arrest in the thefts. This entry was posted on November 8, 2018 at 1:57 pm and is filed under All News, Charles County Crime Solvers, Charles News, Community, County, Crime Solvers, Law Enforcement, More News, z 600X120 Top Ad Bottom, z Police Ad Top. You can follow any responses to this entry through the RSS 2.0 feed. Stealing for money so others can be lazy. Ghetto4Life right there..
Yeah – I see that alright. Obviously you must be one of the people pictured above with a response like that. Seriously! It doesn’t say anywhere that the vehicles were unlocked. Unfortunately these trashy aholes are the ones that steal from the ones that need them and then park their navigators, or hoopty with rims in a spot where someone with a serious need should be able to park. GTFOH with that nonsense. Typical piece of s$*t. GFY! I think the police should spend a little time checking the people parked in the spots. When I take my dad out and have to get him into a wheel chair it pisses me off there is never a spot and I see some person jump out of their car as if they have no problem moving at all.